Home improvement retailer Lowe’s Home Centers, LLC was entitled to summary judgment as a matter of law on an individual’s state-law claims relating to her allegedly defective refrigerator, a Texas federal court determined, concluding that the state’s statutory provision shielding nonmanufacturers from products liability applied to the company and that the aggrieved appliance owner could not establish that any of the seven statutory exceptions to that immunity was applicable (Howard v. Lowe’s Home Centers, LLC, January 26, 2018, Pitman, R.). A woman who had purchased an allegedly defective Whirlpool refrigerator from her local Lowe’s Home Center filed suit against the retailer in Texas federal court after having lost money on spoiled food, incurred property damage when the replacement cooler leaked water, and sustained a shoulder injury from an unspecified event involving the appliance. Her complaint asserted multiple causes of action, including claims for statutory and common-law products liability; breach of warranty; common-law fraud and fraudulent misrepresentation; breach of contract; and negligent inspection, advertising, and repair. Lowe’s moved for summary judgment on all the claims, arguing that it was a nonmanufacturing seller that is immune from liability under Texas products liability law. Nonmanufacturer liability exemption applies. As a threshold matter, the applicability of the statutory exemption from liability for nonmanufacturers to a particular claim does not depend on whether the claim was labeled as a products-liability claim. Rather, it depends on whether the liability arose out of personal injuries or property damage caused by a defective product. In the instant case, the statute applied to the product owner’s refrigerator-related state-law claims against Lowe’s because each of her claims fundamentally arose out of personal injuries and/or property damage caused by the allegedly defective appliance. Although the refrigerator owner proffered different theories of liability—i.e., that Lowe’s had warranted that her fridge was of high quality or that the company had negligently advertised the fridge (thus inducing her to buy it)—she ultimately alleged that the retailer had sold her a defective product that both injured her and cost her money. 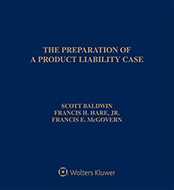 As such, her state-law claims sounded in tort and were subject to the nonmanufacturer provision even if they were not all characterized as products liability claims. Furthermore, there was no dispute that Lowe’s was a "seller" for the purposes of the statutory provision, nor was there any dispute that the company did not manufacture the at-issue refrigerator. Accordingly, Lowe’s could not be found liable for harm to the refrigerator owner unless she could prove that one of the statute’s seven exceptions to the liability shield applied. Statutory exceptions inapplicable. The refrigerator owner’s response to Lowe’s summary-judgment motion contended that four of the statute’s seven exceptions were pertinent, namely: (1) the exception for sellers that alter or modify the product and the claimant’s harm resulted from that alteration or modification; (2) the exception for sellers that installed the product or had the product installed on another product and the claimant’s harm resulted from the product’s installation onto the assembled product; (3) the exception for sellers that made an express factual representation about an aspect of the product, the representation was incorrect, the claimant relied on the representation in obtaining or using the product, and the claimant would not have been harmed had the aspect of the product been as represented; and (4) the exception for sellers that actually knew of a defect to the product at the time it was supplied and the claimant’s harm resulted from that defect. Modification exception. Although the refrigerator owner stated that any of Lowe’s actions in handling her fridge "could have made the malfunctions exist," her conjectural phrasing underscored the fact that she could not trace the product’s alleged defects to any alteration or modification made by the retailer. Her speculation that her fridge’s malfunction only could have been caused while the appliance was in Lowe’s possession or control ignored the possibility that the unit was defective when Whirlpool had delivered it to Lowe’s. Not only did the refrigerator owner have no evidence that Lowe’s had altered or modified the unit, she did not actually allege that the retailer had done so; therefore, no material factual dispute existed about whether the modification exception to the nonmanufacturers’ exemption from liability applied. Installation exception. Similarly, there was no material factual dispute regarding the applicability of the statute’s exception for sellers that install the at-issue product on another product. Here, the refrigerator owner stated only that Lowe’s had installed her appliance; she neither alleged nor offered evidence that the company had installed the unit onto any other product. Representation exception. Courts interpreting the representation exception to the nonmanufacturer liability shield have declined to apply this exception when a seller’s representation simply was a general positive statement about the product, while courts applying the exception in a plaintiff’s favor have tended to do so only when a seller had made a specific representation about a product’s capabilities or quality. In the case at bar, the refrigerator owner alleged that a Lowe’s employee had told her that the fridge "was new," that it "worked normally for normal performance," that it "worked as new," and that it would "make it a reasonable choice" for household use. However, those were the same sorts of general representations rejected by another court in the district; thus supporting the conclusion that the representation exception could not be interpreted so broadly as to cast aside the liability shield based on generic statements about a product. Consequently, none of the alleged representations made by Lowe’s sufficed to create a material factual dispute about whether the exception was applicable. Known-defect exception. Finally, the refrigerator owner failed to create a material factual dispute about whether the statute’s known-defect exception applied. Her argument centered on the statements that Lowe’s had to know that her specific unit was defective because Whirlpool previously had been sued with respect to other unspecified defects of different units of the same model, and that Lowe’s and Whirlpool were so intertwined that the former must have known about the latter’s other defective units. Even if she had submitted evidence to substantiate that claim, however, that evidence was insufficient to establish "actual knowledge" under the exception. At most, her argument established that the home improvement retailer was aware of a risk that the particular unit sold to her might be defective, and federal courts within the circuit routinely have held that "should-have-known" allegations fall short of the exception’s actual-knowledge requirement. Conclusion. In summary, because Lowe’s was a nonmanufacturing seller for the purposes of Texas law, all the refrigerator owner’s state-law claims were products-liability actions under the statute, and there was no material factual dispute about whether any of the nonmanufacturer provision’s exceptions applied to her claims. Accordingly, Lowe’s was entitled to summary judgment as a matter of law on all the owner’s state-law claims relating to the allegedly defective appliance. The case is No. 1:16-cv-1279-RP. Attorneys: Shari I. Howard, pro se. Krishna Reddy (Paul Garcia & Associates) for Lowe’s Home Centers, LLC.